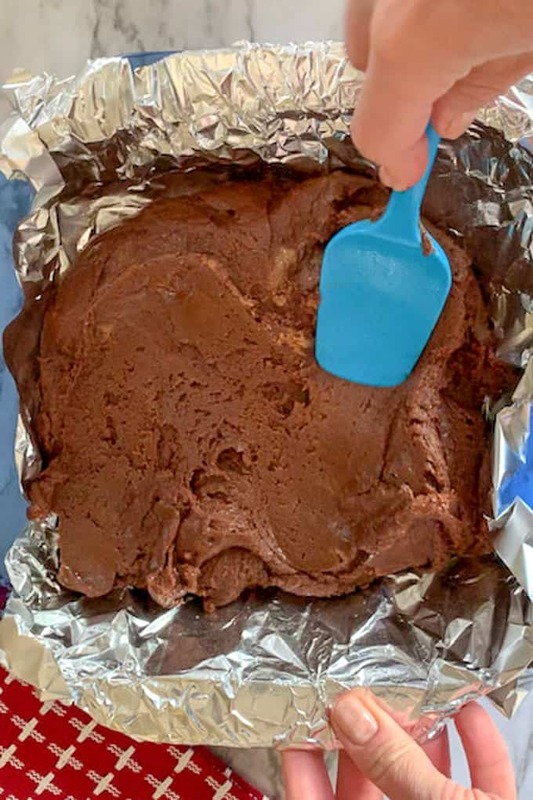 Make cookie butter fudge in the microwave to share over the holidays or for a quick chocolate bite any time of the year. 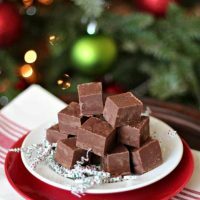 This easy fudge recipe comes together quickly with a short ingredient list and less than ten minutes of activity. 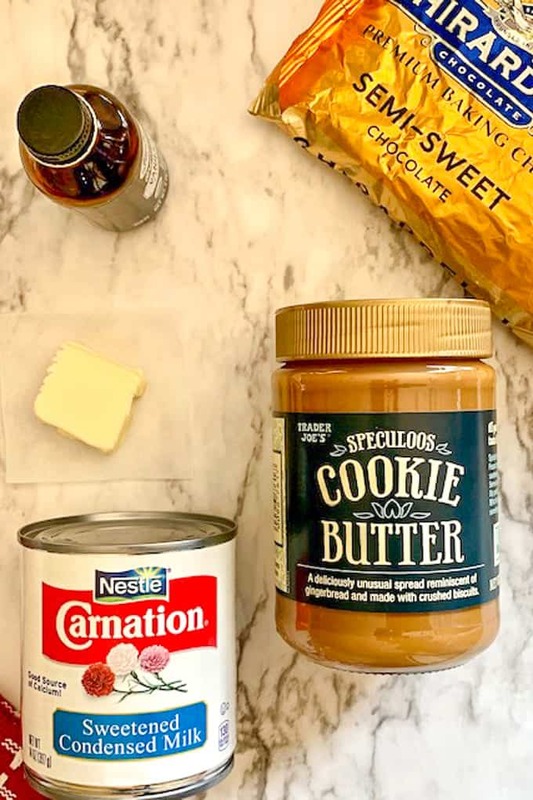 Take a favorite Trader Joe’s ingredient of COOKIE BUTTER and make this yummy cookie butter fudge. Makes a great Christmas treat or holiday homemade gift from the kitchen. Making fudge in the microwave couldn’t be any easier. 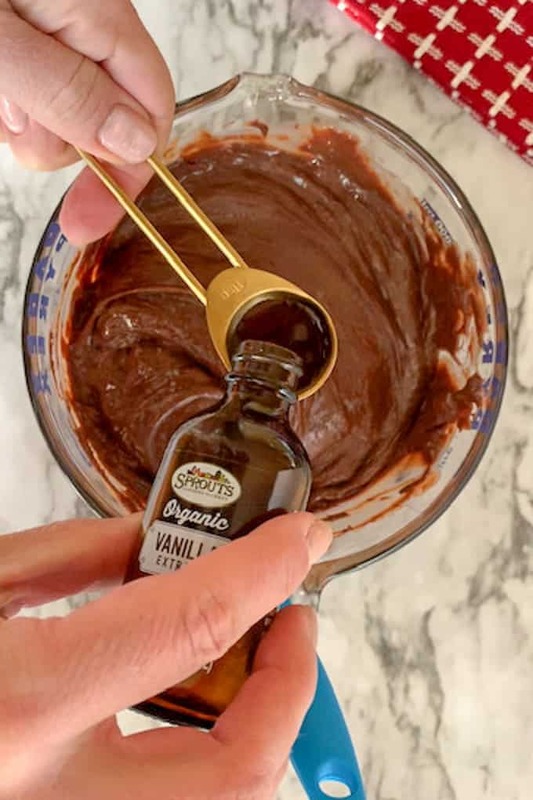 This 5 ingredient fudge recipe highlights the ever popular ingredient of cookie butter. Cookie butter is similar to peanut butter in consistency but instead of ground peanuts, it is comprised of ground up cookies. Speculoos cookies to be exact. Now that leads us to the question of what is speculoos? The word might sound odd but speculoos is the general name for a biscuit-like, spice cookie. Warm spices like cinnamon and nutmeg are often found in speculoos. Cardamom and ginger may be included too. Speculoos have spread from Belgium and the Netherlands and are much more common now in the United States. Turning these biscuits into cookie butter is something that Trader Joe’s has been known for. Other brands sell it now as well. The only downfall for me is that cookie butter is not gluten free. I’ll have to make a homemade version in the months to come. If you are fortunate to live nearby a Trader Joe’s you may already know all about “cookie butter“. Before Trader Joe’s arrived in Colorado in 2014, I was lucky enough to have a crazy-in-a-good-way friend who brought suitcases filled with Trader Joe’s loot back from her travels–and she shared it with me! Sprouts Farmers Market sells jars of cookie butter and Biscoff sells a cookie butter spread as well. 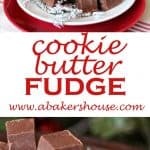 What ingredients are in cookie butter fudge? Can I make fudge in the microwave? Yes! I often take the short cut and make fudge in the microwave. It takes mere minutes and the results are delicious. What’s not to love? In this recipe you’ll microwave all of the ingredients together except the vanilla which is stirred in at the end. The fudge rests in the refrigerator and sets within hours. How do I make microwave fudge? Add ingredients to a microwave safe bowl. Microwave on half power. Stir. Repeat. Pour into a prepared 8 by 8 pan. Let fudge set up in the refrigerator. 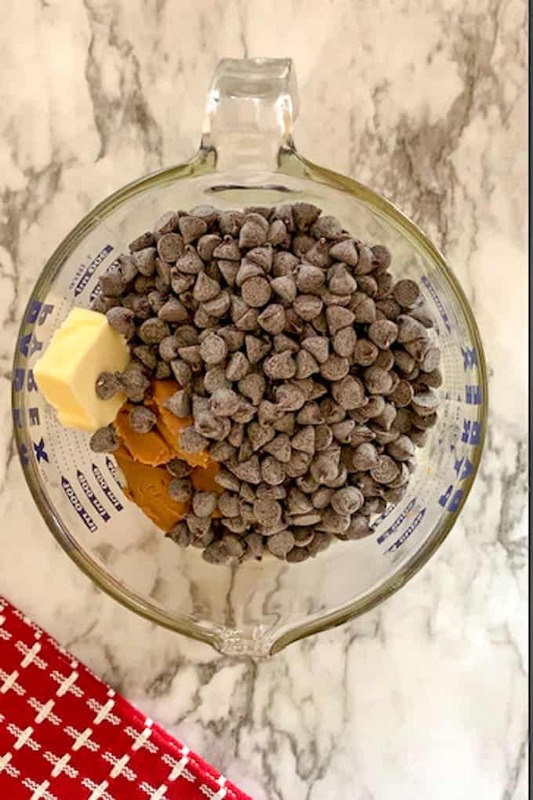 Let’s start with a few photos to help with the steps of making cookie butter fudge. All of the ingredients EXCEPT the vanilla go right into a glass bowl (or any microwave-safe bowl). I like using a large measuring glass, this one is four cups. It helps to have a container with a spout so that you can pour or scrape the mixture out of the container easily. You’ll microwave for two minutes on half power then stir. Microwave again for just one minute and stir again. Once the ingredients are melted you can add the vanilla. Leaving the vanilla out until the end allows you to preserve the flavor and taste of vanilla without “cooking” it in the microwave. Is one teaspoon of vanilla not enough for you? Add a second one! I love too much vanilla! Now spread the mixture into a prepared 8 by 8 pan covered in foil and sprayed with baking spray. Make it as smooth as you can but don’t fret if it isn’t perfect. Let the fudge cool and set in the refrigerator for a few hours or overnight then slice into small pieces. What else can I do with cookie butter? There is just over 14 ounces in a jar of Trader Joe’s cookie butter. You’ll only need 8 ounces for this fudge. Here are some more ideas for using up what’s left. Spread it on toast, in between sandwich cookies, in macarons, eat it out of the jar or make more desserts with it like this fudge! Lisa at the blog, Wine and Glue, makes this amazing salted chocolate cookie butter bark. And have you seen this Biscoff cookie butter ice cream from Melanie of Melanie Makes? Wow! I am guessing that these Biscoff Cookie Butter Pretzels disappear quickly. They are made by Dorothy at Crazy for Crust. 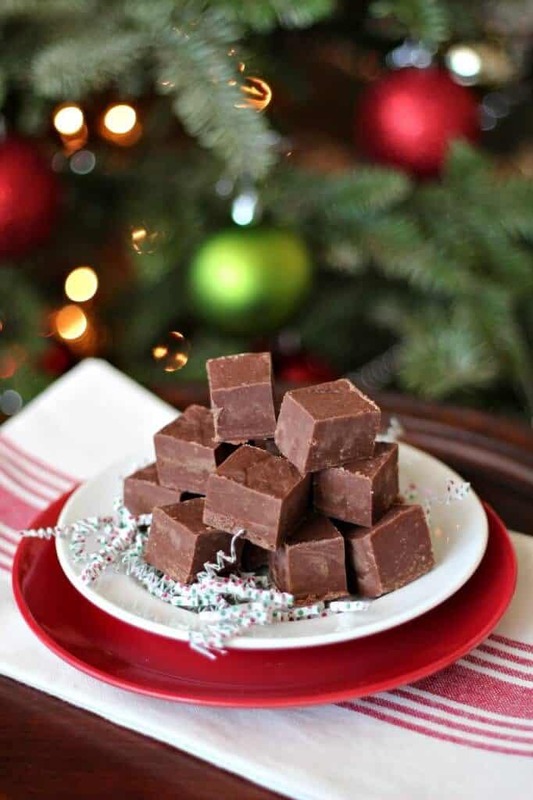 This fudge is perfect for sharing during Christmas but I am sure you’ll find other excuses to make a quick microwave fudge throughout the year. Next time I’m going to try the crunchy version of cookie butter for a different texture. You simply can’t go wrong– cookie butter + chocolate = yum. 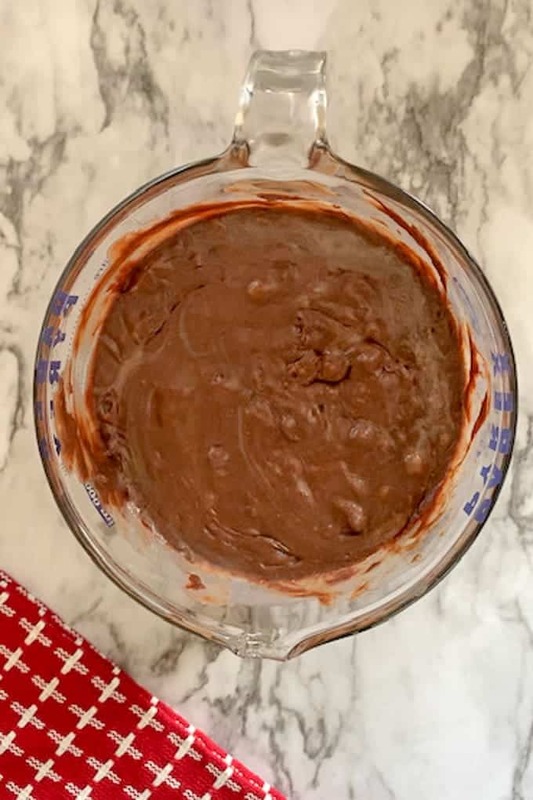 You can't go wrong with the combination of cookie butter, chocolate, and sweetened condensed milk in this quick and easy fudge recipe! Prepare an 8 x 8 pan with aluminun foil laid in both directions (such that some hangs over the sides like handles). Grease the foil with butter or spray with baking spray. Place all of the ingredients except the vanilla into a microwave-safe bowl. Heat on half power for 2 minutes. Stir then heat again on half power for 1 minute. Add the vanilla and stir until smooth. Pour into the prepared pan. Place in the refrigerator to set for at least 3-4 hours or overnight. Cut into 1 inch squares. Store in the refrigerator until ready to serve. Try this with the crunchy version of cookie butter too! Looking for other fudge and no bake desserts? Try these! Originally published in December 2013 and updated in December 2018. I am on Trader Joe’s watch too. I love their little soy flavored multigrain rice crackers. I brought several packages back in November but we are now dangerously low. Come on February! I will also be trying your fudge. It looks fantastic. I hope you have a very merry Christmas! I’ll have to remember those crackers– sounds good! Merry Christmas, Karen!!! Cookie Butter; otherwise known to me as Biscoff Spread!! LOVE that stuff and can only begin to imagine a fudge made using it! I’m looking forward to Trader Joe’s too; maybe our gaggle of girls should make it a field trip when it opens? Yes, I haven’t tried Biscoff spread but understand it is the same yummy stuff. I have some fudge with your name on it so you won’t have to imagine it for long. Hope to drop it by your doorstep today. Merry Christmas, Barb! 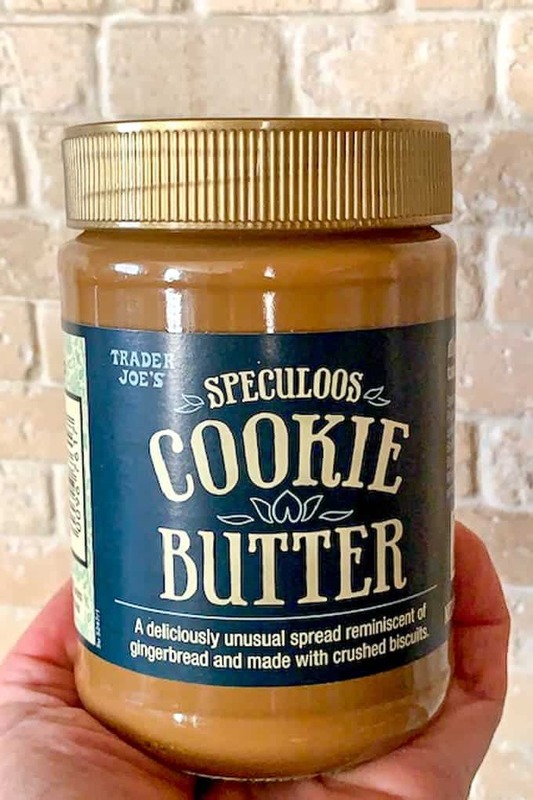 Yes – Trader Joe’s Speculoos Cookie Butter is just their knock-off of the original Biscoff Spread. My daughter will eat boatloads of this stuff. It has everything she loves in it . If I make it with just milk chocolate and Nutella, I won’t see her taking a breath until she is done eating 😀 Have a Wonderful Holiday season, Holly! Yes, Nutella would be perfect too! Happy new year! Someone please tell me where this has been all my life?! This looks delicious and what a lovely idea for a homemade foodie gift! Wrapped in a pretty bow, anyone would be happy to get (I know I would 😉 )! Thanks, Dawn! I have it all packaged up in a tin to give to my dear friend who used to bring me cookie butter from her travels. Now we are lucky to have a Trader Joes nearby. I might have to try this one too!